From the best-selling author of The Dressmaker comes the warm-hearted and enthralling saga of a bold young woman caught between two worlds-the vibrant camaraderie of factory life and the opulence that a budding romance with the mill owner's son affords-as the murder of her best friend sends shock waves throughout the town. 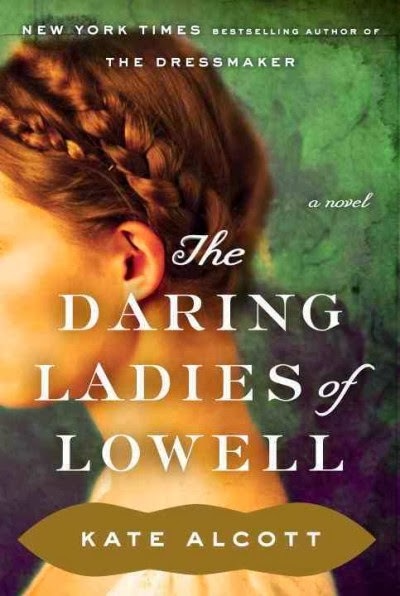 Determined to forge her own destiny, Alice Barrow joins the legions of spirited young women better known as the Mill Girls. From dawn until dusk, these ladies work the looms, but the thrill of independence, change in their pockets, and friendships formed along the way mostly make the backbreaking labor worthwhile. In fact, Hiram Fiske, the steely-eyed titan of industry, has banked on that. But the working conditions are becoming increasingly dangerous and after one too many accidents, Alice finds herself unexpectedly acting as an emissary to address the factory workers' mounting list of grievances. After traveling to the Fiske family's Beacon Hill mansion, Alice enters a world she's never even dared to dream about: exquisite silk gowns, sumptuous dinners, grand sitting parlors, and uniformed maids operating with an invisible efficiency. Of course, there's also a chilliness in the air as Alice presents her case. But with her wide, intelligent eyes and rosy-hued cheeks, Alice manages to capture the attention of Hiram's eldest son, the handsome and reserved Samuel Fiske. Their chemistry is undeniable, soon progressing from mutual respect and shy flirtation into an unforgettable romance. But when Alice's best friend, Lovey, is found strangled in a field, Alice and Samuel are torn between loyalty to "their kind" and a chance for true love. Publishing February 25, 2014 by Doubleday. Great pick.....here's my WOW :-) !